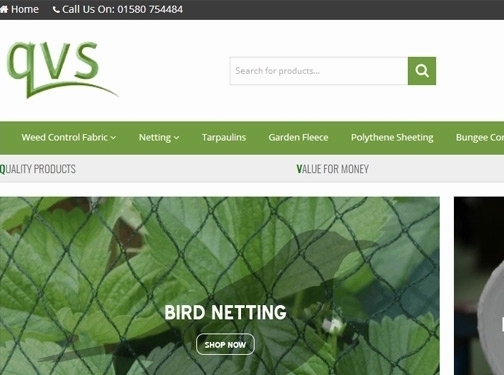 QVS Shop provide the best in garden supplies and equipment, including garden fleece, tarpaulin, netting, sheeting and bungee cords. These products provide protection against the elements and weed control. UK (Hawkhurst) based business providing garden supplies. Website includes e-commerce facilities, delivery and returns information, terms and conditions, articles, FAQs, full contact details including company registration and VAT numbers. Signs of Trust rating: 5 out of 5.